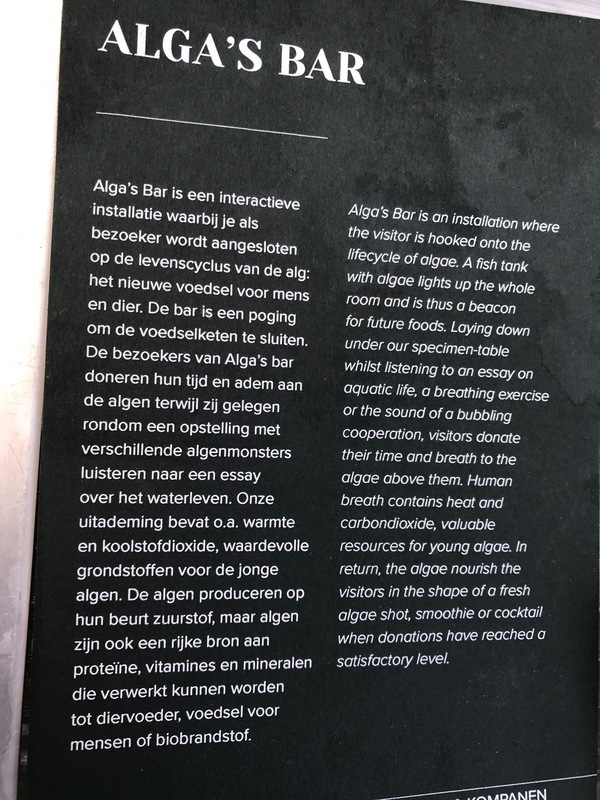 The Algae Bar is an interactieve installation by the guys behind Cateringa & kompanen. The idea is the attach yourself to the life cycle of the algae. 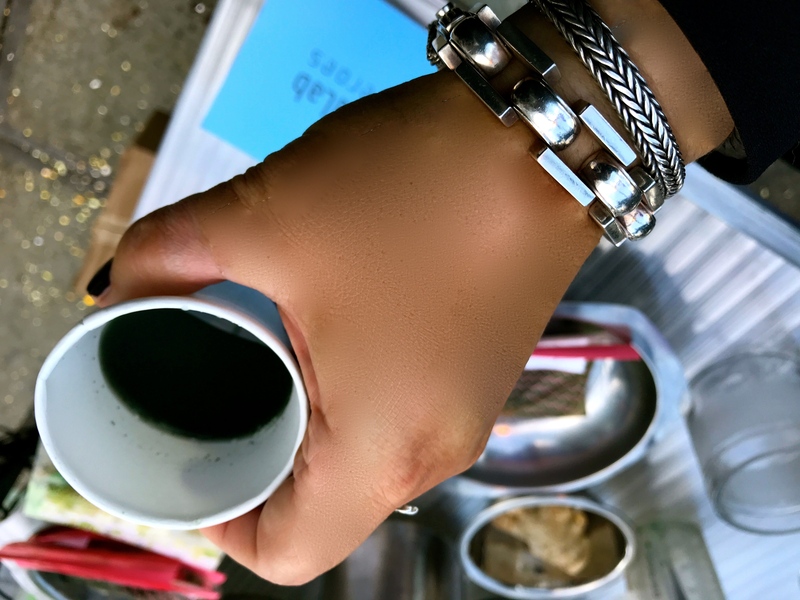 Algae are considered one of the new food components for man & animal in the future. The bar is an tempt to close that circle. 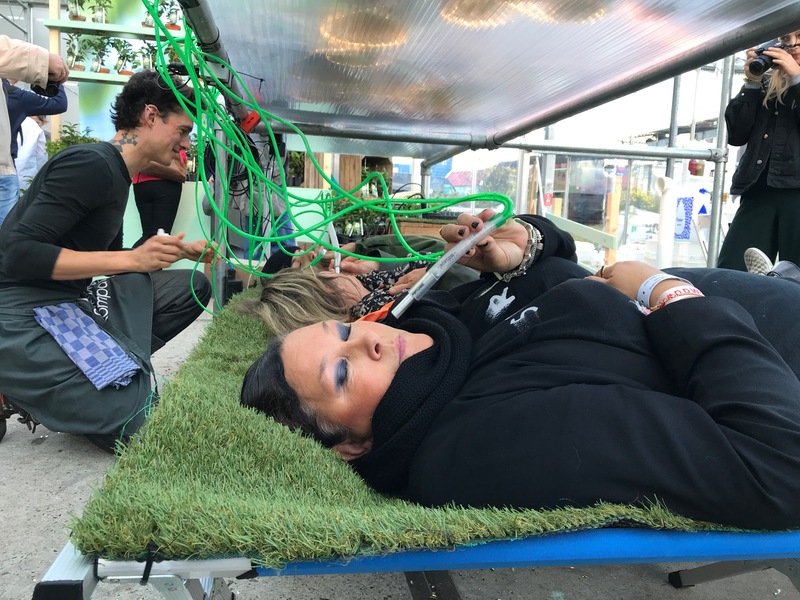 Visitors of the Embassy of Food at the DDW 17 in Eindhoven donate their time and breath to the algae, while they lie on a bed underneath a set up of different algae samples, while to listening to an essay of waterline or just listen to their own breathing. 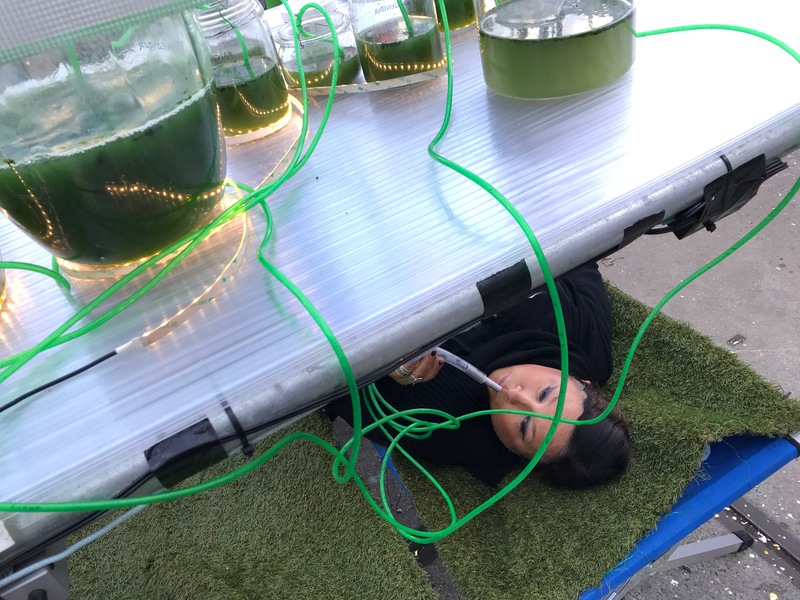 What we breath out contains warmth and CO2, what are valuable resources for young algae. 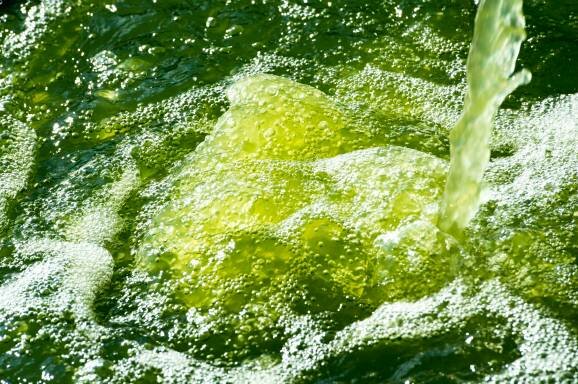 The algae on their turn, produce oxygen, but on itself they are a rich source of proteïne, vitamines en minerals. 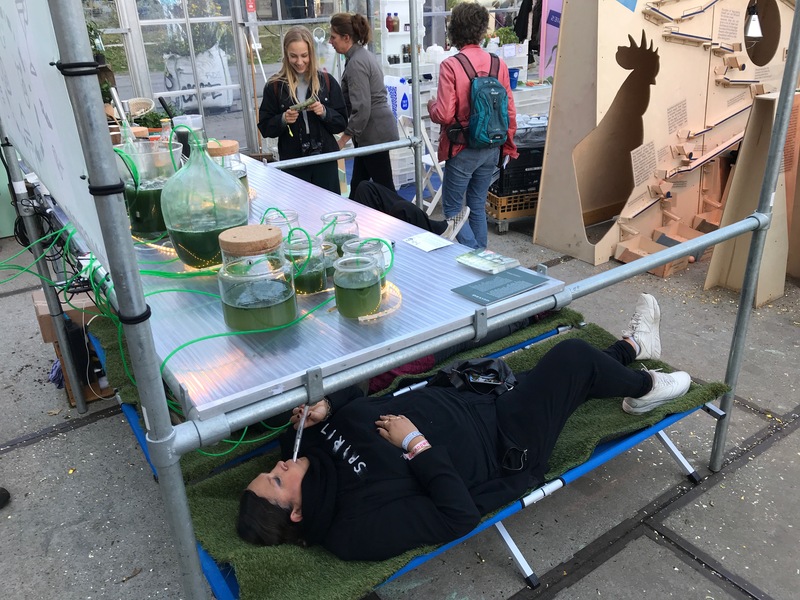 In the future algae will be used a animal & human food but also as bio fuel. I found this such a great story, that I had to try it out. 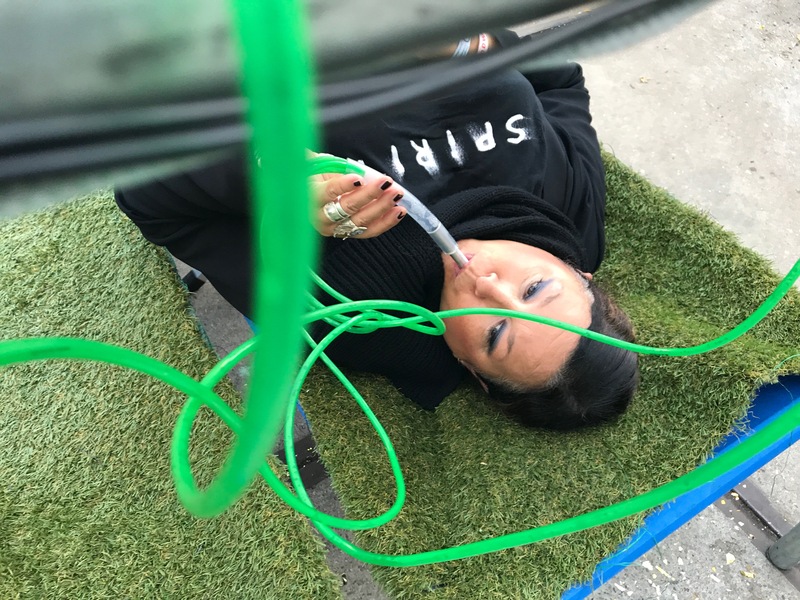 I donated 15 minutes of time, warmth and CO2 to the algae and after the session I was rewarded with a house cocktail made of dried algae powder, apple juice, ginger and vodka. Strange colour but really good.